Hawaiian cuisine reflects the diverse, vibrant, and tropical culture of this Pacific region. On your vacation, you don’t want to miss out on the best restaurants on the Big Island. 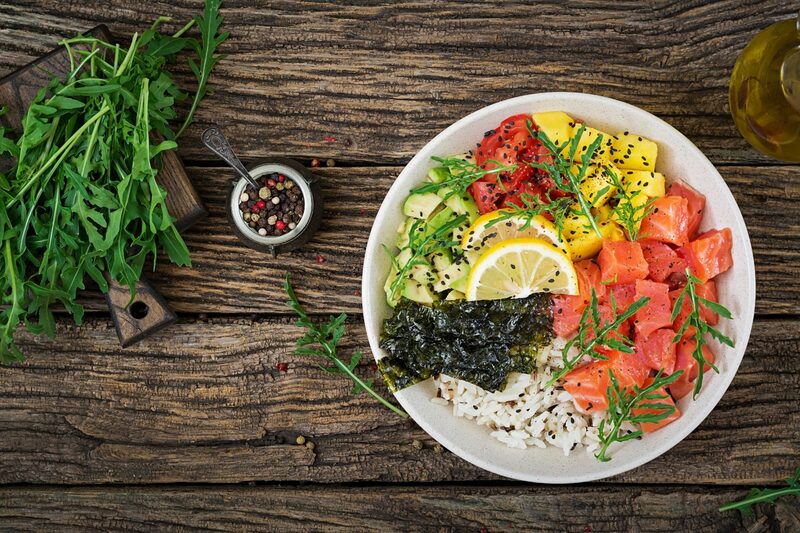 Try everything from colorful poke bowls and gourmet sushi rolls to buckets of homemade cookies and Hawaiian-style loco moco. The unique flavors of the food capture the essence of the diverse ecology and landscapes on the Island. 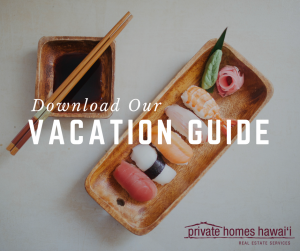 For more ideas on where to eat, what to see, and where to go, take a look at our vacation guide! Celebrate the Hawaiian fishing tradition and community along with Suisan Fish Market where you can find some of the freshest seafood and the tastiest poke bowls on the island. It’s a unique experience, being that it is an actual fish market, not just a restaurant. Open 24/7, 365 days a year, Ken’s House of Pancakes serves up “local-style” breakfast items. Try macadamia nut, fresh banana, and “kokonut” pancakes and top them with “kokonut,” passion, or guava syrup. If you want something more savory, order a heaping plate of eggs, rice, and spam. Peer out the windows of this historic dining establishment and admire the scenic Koi ponds surrounding the property. Ponds in Hilo uses only the be freshest ingredients from local farmers, and they feature live music almost every night! Dine like a local and eat some of the best Polynesian cuisine in Hawaii. At Broke da Mouth Grindz, hungry guests can indulge in garlic furikake chicken, “KimChee” fried rice, award-winning braised beef short ribs. You can’t go wrong with anything you order at this restaurant. Nothing pairs with a tropical vacation better than a light and refreshing smoothie or acai bowl from Basik Acai. Choose between various plant-based toppings and fruit fillings for the tastiest sweet treat that will leave you feeling energized and ready to go! Longboard Legends prides itself on providing hand-tossed pies made with taro crusts, island-grown produce, and homemade, house-smoked meats. Delight your taste buds with local flavors after a thrilling day catching waves off the coast. Roll over to Sushi Shiono and explore the vibrant flavors of fresh local fish in the form of sushi. Whether you prefer nigiri and sashimi or specialty sushi rolls, you’re in for a treat. Complement your meal with a premium sake sampler for the ultimate experience. Award-winning chef Peter Merriman pioneered Merriman’s Restaurant. This establishment boasts a farm-to-table philosophy and tops many acclaimed lists of “best Big Island restaurants.” This restaurant boasts a fine wine selection along with gourmet cuisine, making it the perfect option for a romantic date night. If you’re in need of vegetarian and vegan-friendly options or you just want something light for breakfast or lunch, stop by Under the Bodhi Tree! From tofu scrambles and french toast to Thai-inspired salads and noodles, you’ll love the options at this unique restaurant! The loco moco is must try dish while you’re in Hawaii. At the Hawaiian Style Cafe, you can order the Hawaiian style loco moco which comes served on a bed of white rice with two hamburger patties, grilled onions, egg, and brown gravy. 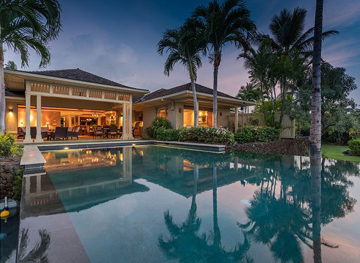 After dining at the best restaurants on the Big Island and exploring all there is to see and do, return home to your Private Homes Hawaii vacation rental. Stay in the finest accommodations and admire sweeping views of the Pacific from your back door. 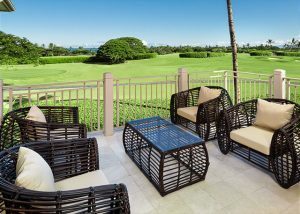 Our Hualalai Resort Palm Villa residence embodies elegance and class. 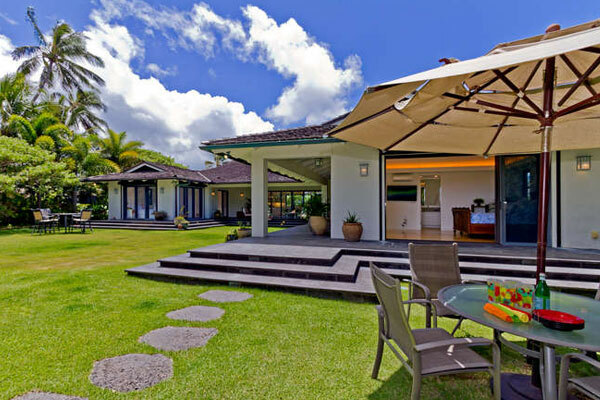 Look out from a gorgeous lanai, over a manicured lawn to take in the ocean scenery. We look forward to hosting you!